The plan was to do another overnighter on top of a new Corbett with the new tent – however there was the small matter of the Wimbledon final on the same day!! Well after the great result I decided on taking advantage of the glorious weather but heading up a hill near by which was not too much of an effort. 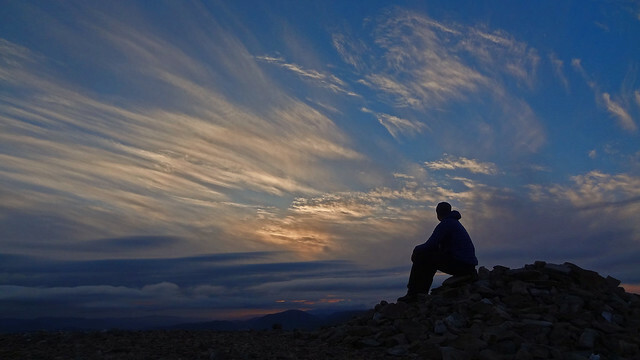 Geal Charn at Drumochter was the chosen hill and I set off around 18.45. I was walking by 19.30 and the hangover from earlier was at last starting to disappear !! Took about an hour to reach the summit and as always the views from the top over to the Alder group and up Loch Ericht were fantastic. Now to find a nice place to sick the tent – this took longer than the walk!! Too many stones !! I Eventually found a spot around 200m north west of the summit which was ok – great views down Loch Ericht, but still very uneven ground!! I loitered around for a few hours and got some pictures and photos before hitting the hay. A few hours later and I was up and the tent was away. 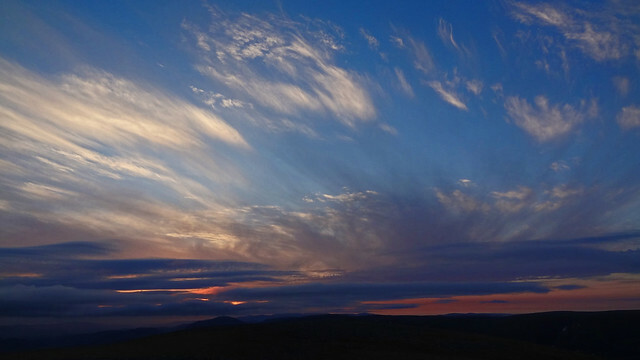 The skies were looking good back over towards the summit and the East so I head back up to the top of Geal Charn and watched the sunrise – amazing – no winds and more incredibly – no midges!! Couldn’t believe my luck. More photos and I decided to head round and up onto A’Mharconaich, all the time keep my eyes open for any signs of the lost dog. 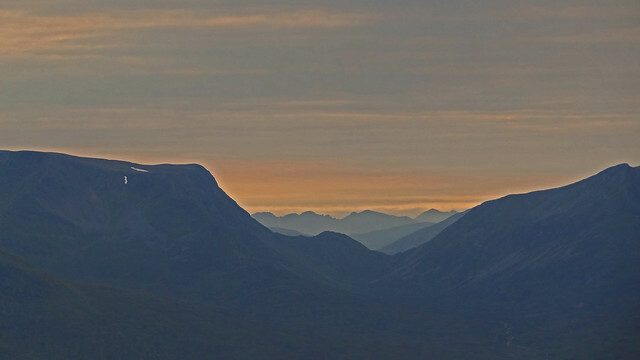 Loving the video Wilkie, a wild camp on/near a Munro summit is on my list. Great pics..would love to do that sometime! 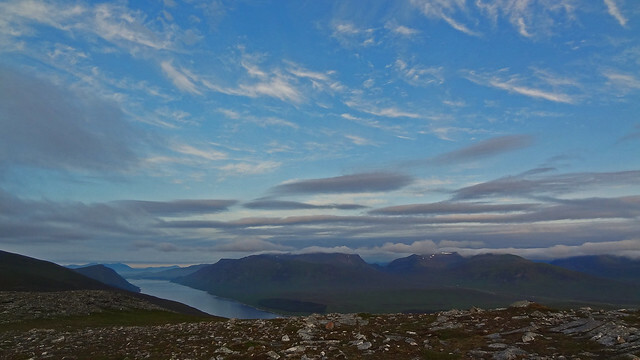 skuk007 wrote: Loving the video Wilkie, a wild camp on/near a Munro summit is on my list. Thanks skukoo7 - if u get good weather - it's great - don't expect too much sleep though!! Malckyb wrote: Great pics..would love to do that sometime!